Interested in catching fish this summer? Staying out of trouble with the DNR? Preventing the spread of zebra mussels and Eurasian watermilfoil? Catching and releasing a monster fish? Catching and keeping a monster fish? Helping a caught fish survive? Securing the future wealth of lakes country? Earning the respect of veteran fisherman? 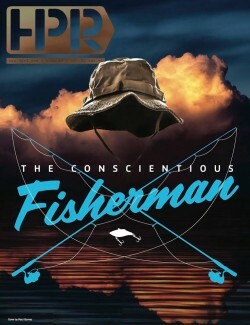 Learning about fishing ethics? Hundreds of thousands of people fish in Minnesota and North Dakota every year, so we want to make it as easy as possible for folks to understand some of the most standard, vital rules and regulations that state DNRs have strategically put in place. Just how strategic are these rules are regulations? Detroit Lakes professional fishing guide Jerry Sondag knows quite precisely how strategic and important these regulations are, especially as a specialist of muskies, which are some of largest, most rare fish in the region. Sondag, who’s strictly a catch-and-release fishing guide and has caught and helped others catch hundreds of muskies over the years, said fishing keeps getting tougher every year. There are a number of reasons. Because of the difficulty of naturally spawning certain types of fish, mainly muskie and walleye, states use hatcheries to stock and grow fish to later be released in lakes and rivers for catching. Fishery supervisors are employed all throughout North Dakota and Minnesota to manage fish populations. “We basically protect fish populations from overharvest and manage them to the best of our ability to keep a well-balanced fish community in our lakes,” said Jim Wolters, a Fergus Falls-based area fisheries supervisor. In Minnesota, about 900 lakes are stocked with walleyes and less 100 lakes are stocked with muskies. Sondag said it’s a tough process to get muskies stocked or restocked into a lake. Local and regional fishing organizations like Muskies Inc. and Walleyes Inc. exist, in part, to help fund fisheries. “Our organizations will put in thousands of dollars to feed these little fish to get them to this (about 30”) big. Maybe one percent make it to this (about 48”) big,” Sondag said. In Minnesota and North Dakota, anglers are only allowed to keep one 48-inch-or-longer muskie, nothing smaller. In Minnesota, anglers are allowed only one 20-inch-or-longer walleye, or six less-than-20-inch walleye. Fisherman who dislike throwing back more than one large fish, passing up extra meat for the dinner table, may find it interesting that larger fish are less safe to eat and more likely to contain mercury and other contaminants than smaller fish. According to the DNR and Minnesota Department of Health, children and women of childbearing age are not recommended to eat walleye longer than 20 inches, pike longer than 30 inches and muskies of any size. All other adults are recommended to eat these same species only once per week. Smaller pan fish, like sunfish and crappie, have no restrictions for older adults and men. Wolters said fish like crappie, sunfish, pike and bass are able to reproduce naturally without the need for stocking. “But in order to keep them going, we need to protect the habitat that they need to spawn successfully,” he said. One of the biggest threats to fish habitats is the spread of aquatic invasive species, like zebra mussels and Eurasian watermilfoil. These nonnative species are harmful to fish populations, water quality and water recreation. “Once an aquatic invasive species gets into a lake, it’s almost impossible to eradicate,” Wolters said. Clean all visible aquatic plants, zebra mussels, and other prohibited invasive species** from watercraft, trailers, and water-related equipment before leaving any water access or shoreland. It is illegal to transport them whether dead or alive. Drain water-related equipment (boat, ballast tanks, portable bait container, motor) and drain bilge, livewell, and baitwell by removing drain plugs before leaving any water access or shoreland property. Keep drain plugs out and water-draining devices open while transporting watercraft. Dispose of unwanted bait, including minnows, leeches and worms, in the trash. It is illegal to release bait into a waterbody or release aquatic animals from one waterbody to another. If you want to keep your live bait, you must refill the bait container with bottled or tap water. :: It’s illegal to cull fish that have already been caught and kept. For example, if you’ve reached your possession limit and catch a bigger fish after the fact, it’s illegal to throw back a fish on your stinger or in your bucket. :: For catching-and-releasing, handle the fish gently and quickly to increase its chance for survival. :: Only angle for fish in deep water if you intend to keep what you catch. :: Hold a fish by its belly and lower lip, not by its gills or eye sockets. :: Avoid littering. Plastic bags, fishing line, styrofoam, six-pack holders and other garbage can kill fish and other wildlife. :: If entering from a public access point, read posted signs for up-to-date, lake-specific rules and information. :: When in doubt, refer to the DNR Fishing Regulations guide, available online and at all places where fishing licenses are bought. Learn about Jerry and his fishing guide at jerrysondag.com.